*EXPIRED* Krispy Kreme - Talk Like a Pirate = FREE Glazed Doughnut! 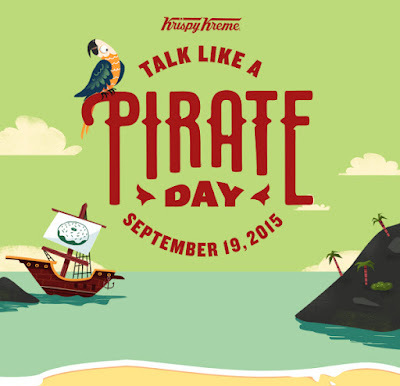 This Saturday, September 19th., head over to a Krispy Kreme near you and Talk Like a Pirate and get a FREE Original Glazed doughnut! Dress like a pirate, and you'll get a FREE Dozen of them! Woohoo! *See store for complete details.